The parents of two young brothers mauled by a Staffordshire bull terrier at their home in Essex today have paid tribute to the two youngsters. 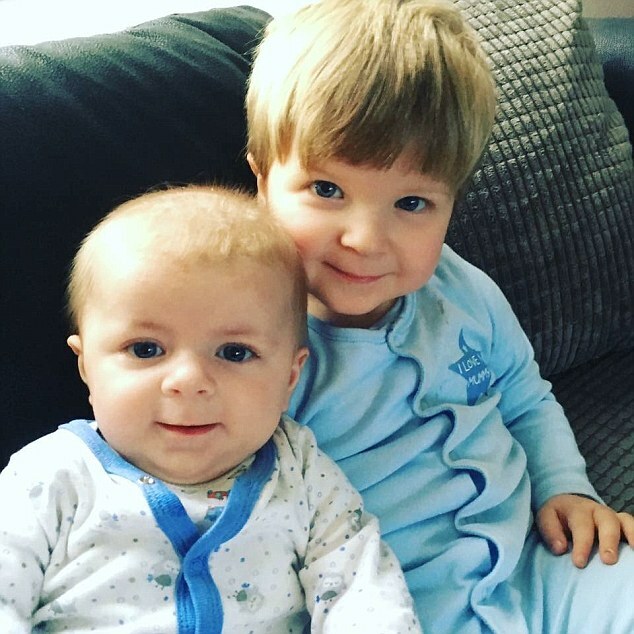 The dog killed four-month-old Archie Joe Darby and left his elder brother Daniel Jay with life changing injuries following this afternoon's attacks. In a statement, the boys' mother Jade Rogers and her partner said: 'Our beautiful sons Archie Joe Darby and Daniel-Jay Darby are so, so loved by us all and were such happy little loveable boys.' The statement continued: 'It doesn’t seem real that our little Archie Bum has gone to heaven and our little Daniel is in intensive care because of a tragic, tragic incident involving a dog attack. Essex Police refused to confirm that Mrs Ferdinand is employed by them though friends of the victims' family insisted she was. A close family member, speaking from a house in Hornchurch, Essex, refused to comment on the dog attack. He was too distressed to talk about the matter but a dog could be heard barking inside the property. 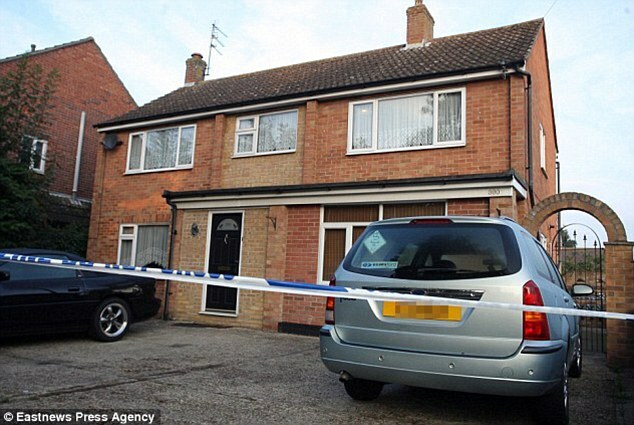 The horror unfolded at a home in Colchester, Essex, with the young boys' mother also being savaged by the dog. All three with rushed to hospital shortly after yesterday's attack, and it is reported the mother was in the bath at the time. The dog has since been put down with the owner's consent, police said, while the house is currently taped off as an investigation into the violent death begins. 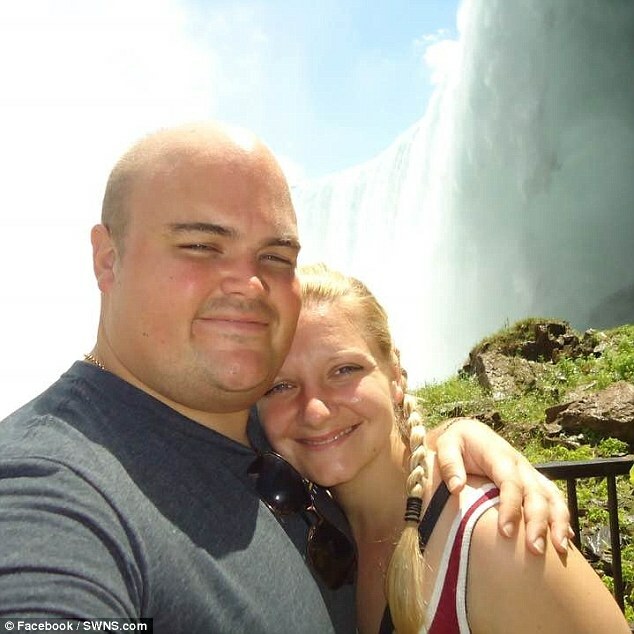 It's not yet clear whether the couple are related to the victims of Thursday's dog attack but it is thought that they have two young children. Chief Inspector Elliot Judge said: 'This is a tragic incident where a young child has lost his life. 'We can confirm the incident took place inside a house on Harwich Road, the dog has been destroyed, and no-one has been arrested. 'An investigation to establish the facts surrounding what happened is on-going. Officers confirmed that the mother had been injured in the attack and had been discharged from hospital. A post-mortem examination on the body of the four-month old baby is expected to take place late next week, while an autopsy of the dog is scheduled for this evening. One neighbour witnessed a young boy in the ambulance after the attack took place. He said: 'I was walking past and I saw a young boy sat up in the ambulance. 'His face was covered in blood - it was shocking to see. He was in a bad way the poor little lad. “The dog was taken out of the property at 4.30pm. It was on a pole lead. IT WASN'T A NORMAL STAFFIE. IT WAS A LOT MORE CHUNKY - PROBABLY A STAFFORDSHIRE CROSS OR SOME KIND OF BULLDOG BREED. A BABY is fighting for its life after being attacked by a dog. A young child has suffered serious, life-changing injuries. It is understood an adult was also injured in the attack and is also in hospital. All three are being treated at Colchester General Hospital. The attack occured shortly after 3pm yesterday afternoon at the junction of Harwich Road and Tara Close, in Colchester. Onlookers say up to six police cars, including a dog unit vehicle, were called to the scene, alongside paramedics. 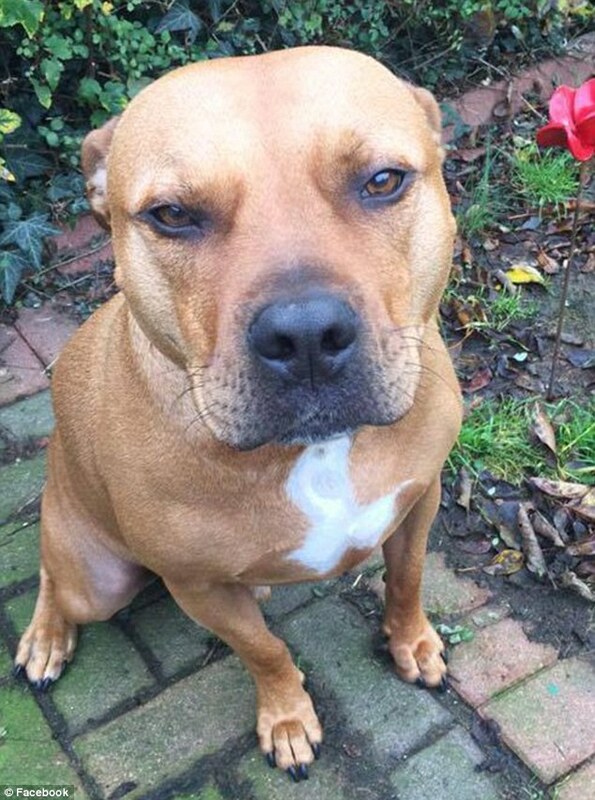 It is believed the dog was a STAFFORDSHIRE BULL TERRIER type dog. An East of England Ambulance Service Trust spokesman said: "We received a call at 3.08pm to reports of a serious incident in Colchester. "We dispatched three ambulances, a rapid response vehicle, an ambulance officer, and an air ambulance from the Essex and Herts Air Ambulance Trust. "At the scene two young children were treated by crews, one for life-threatening injuries, and the other for life-changing injuries. Passing schoolchildren are said to have witnessed the aftermath of the incident. An Essex Police spokesman added: "We were called to an address in Harwich Road at around 3.10pm today to reports of someone being bitten by a dog. "Three people have been injured and taken to hospital for treatment. "The dog has been recovered by police." Just another nanny dog doing its job. If you look at Four Legged Friends (and Enemies) it looks like the baby died. Pretty sure it's the same story. Also, the dog was owned by a Police woman.